With the Great American Eclipse coming up in just a couple of weeks (it’s on August 21, 2017), I am republishing this popular post on how to shoot a total solar eclipse. If you have not yet booked your trip to a spot along the path of totality, now is the time to do it! If there’s a more thrilling experience anywhere on our planet than observing a total solar eclipse, I’ve not yet found it. The experience of observing the moon slowly move in front of the sun, obscuring our view of the sun one nibble at a time until day turns into night, the temperature drops, the stars come out in the middle of the day, and the delicate corona of the sun is exposed, is like nothing else we earthlings can feel. An eclipse is a singular event, each a bit different from any other that has ever occurred, and an exclusive event that often can be observed only from a narrow swatch of land and in very remote corners of the planet. 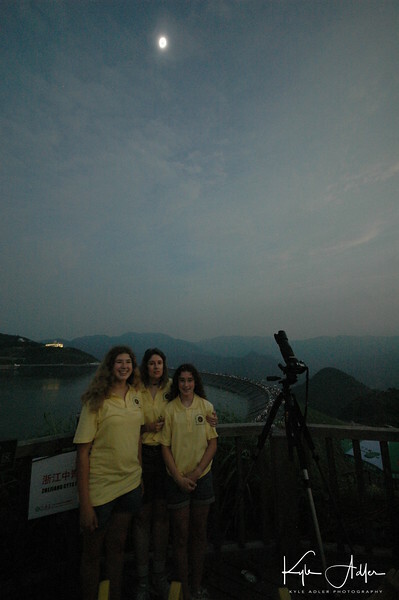 I’ve stood in the umbra (shadow) of the moon during three total solar eclipses thus far in my life: first in Virginia Beach in the USA when I was 7 years old, then in the mountains above Anji in China in 2009, and most recently in 2015 in Svalbard well above the Arctic Circle. I plan to be in Salem, Oregon in the USA on August 21, 2017 when the next total solar eclipse occurs. These events are truly life-changing, and once you’ve experienced an eclipse you will want to seek out others. Photographing an eclipse takes all of the normal challenges of travel photography and throws a few special ones into the mix. To start with, an eclipse can take place anywhere on the planet, and often the best location from which to view one is very remote with little or no travel infrastructure. 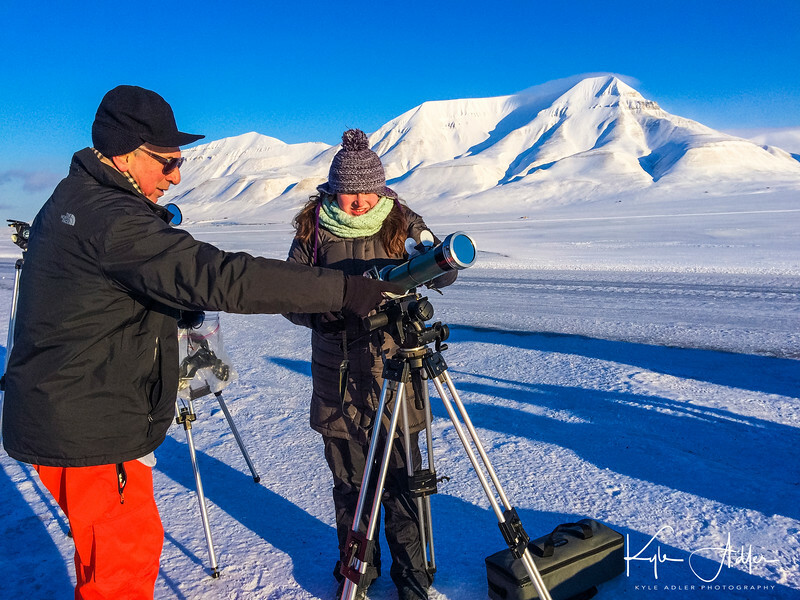 The eclipse I experienced in 2015 in Longyearbyen, high in the Arctic on the island of Svalbard, was a transformative event, but the extreme cold coupled with the lack of infrastructure made getting there and photographing the eclipse a special challenge. And of course, during an eclipse the already challenging conditions are stressed even further due to the tremendous crush of visitors who rush in from all over the world to try to view the solar event. I recommend you travel with an expert in managing the complicated logistics required to stage a successful eclipse trip. I always go with A Classic Tours Collection (https://aclassictour.com/solar-eclipse-tours/). Run by travel logistics guru Mark Sood and with scientific consulting from Professor Jay Pasachoff, a world expert in eclipses and the human being who has stood in the shadow of the moon more times than any other, this company has delivered an unprecedented track record of successful eclipse trips since 1980. Gather the right gear. You will need at least one (and I prefer to have two) DSLR or mirrorless ILC camera bodies with a long telephoto lens or two. I use a Nikon D810 with a Sigma 150-500mm super-telephoto zoom lens. For each lens you will need a specialized solar filter to block 99.999% of the sun’s light to enable you to shoot the sun safely during the partial stages of the eclipse. The solar filter blocks much more of the sun’s light than a standard photographer’s neutral density filter, so don’t try to find this item at your local camera shop. Instead, you will need to order it from a specialized astronomy company such as Thousand Oaks Optical (http://www.thousandoaksoptical.com/solar.html). Be sure to order a black polymer threaded camera filter in the proper diameter for your specific lens. Without a properly fitted solar filter on each lens you plan to shoot with, it is not safe for your eyes or for your camera’s sensor to attempt to photograph a solar eclipse. You will also need a heavy-duty professional tripod with a good ball head and mounting plate to hold your camera and lens steady during the eclipse. Also be sure to pack a remote shutter release with extra batteries (if required), the tripod collar that came with your lens (if included), a mini flashlight for checking your camera’s settings, extra memory cards, and extra batteries and chargers for your camera. Super-telephoto zoom lens with tripod mounting collar. Don’t forget to order a solar filter to fit your lens(es). Test your gear. Before the trip, test your full setup at home by shooting the sun with your solar filter on the lens, and by shooting the full moon without the solar filter. These two scenarios will allow you to test your gear in conditions similar to the partial stages of the eclipse and to totality, respectively. Prepare your gear the evening before the eclipse. Charge all batteries, format all memory cards, make all camera and lens settings (per my instructions below), and check all your equipment. Remove the UV filter you ordinarily keep on your lens(es), because they will interfere with the solar filter you will use during the partial stages. On eclipse day, have in your pocket your flashlight, extra camera batteries, extra remote batteries, and extra memory cards. It will be dark during totality and you will be excited, so best to have everything well planned in advance and within easy reach on eclipse day. Configure your camera’s and lenses’ settings in advance of the eclipse. Shoot in RAW mode (or RAW + JPEG mode if you must have JPEG versions of your images) using the highest quality setting available on your camera. I recommend using an ISO setting of 400, and be sure to turn your camera’s Auto ISO setting off. The exposure changes constantly throughout the eclipse, so I do not recommend manual exposure mode; instead, choose aperture priority mode with the aperture set at f/11. You may want to choose highlight-weighted metering if your camera has this option; otherwise, select center-weighted metering. Choose single-frame shooting mode. I recommend using exposure bracketing to shoot bursts of about 7 frames, each 1 stop (or even 1.3 stops) different from the previous one, so as to capture more of the huge dynamic range in a solar eclipse; this is especially important to do during totality. Turn off vibration reduction (also referred to as image stabilization), as your camera will be on a sturdy tripod throughout the eclipse. Set your focus mode to manual, because autofocus will not work during or near totality. Tape your lens’s focus ring to infinity to be sure it won’t move during the eclipse. Take a deep breath. You’re almost ready for the eclipse. Set everything up at the eclipse viewing site. Place your camera on the heavy-duty tripod and install your remote control. Remove your regular UV filter and attach your special solar filter. As the first contact between sun and moon occurs, start to shoot. Remember to shoot in bursts of 7 (whatever number of exposure levels you have selected) if you have turned on exposure bracketing. Due to the rotation of the earth, you will have to recenter the sun in your viewfinder periodically (unless you are shooting through a telescope with an equatorial mount). Remove your solar filter only during the period of totality. When the diamond ring effect signals the start of totality, and the world around you is suddenly plunged into darkness, quickly take off your lens’s solar filter. You won’t need it during totality. The brightness of the sun during totality is similar to that of the full moon, so viewing and photographing the sun during totality will not be dangerous. This is the most exciting time, and it will last for only about 1-4 minutes, so enjoy the spectacle of the sun’s corona revealed! Remember to spend some of the time just looking and not shooting. This is an experience you will want to remember not only through your camera! Put your solar filter back on after totality. The partial stages that follow the period of totality, just like the partial stages that came before totality, are not safe to view or photograph without the special solar filter. 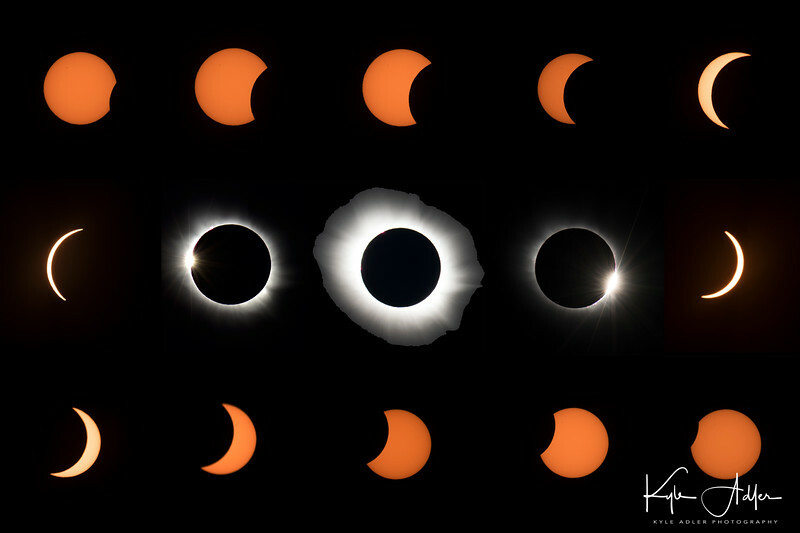 Keep shooting those later partial stages because you will want a complete record of the eclipse to show a compelling narrative and to create montages of the images. Shoot some landscapes and people images, too. Don’t forget to use a second camera–either a second DSLR or mirrorless ILC body you brought for the occasion or your smartphone’s camera–for landscape and people shots during the eclipse. You don’t want all of your images to be close-up portraits of the sun and moon only. You will need a solar filter on the second camera, too, if you plan to include the sun itself in these shots. Return all settings to normal after the eclipse. You will have made quite a few special adjustments in order to capture the eclipse properly. Don’t forget to restore your usual settings after the eclipse has ended. Get creative with your eclipse images once you return home. There are many ways to compile and share your images to give the world a sense of the thrill you experienced while in the shadow of the moon. Have you experienced a total solar eclipse? Photographed one? Please share your tips and tricks. 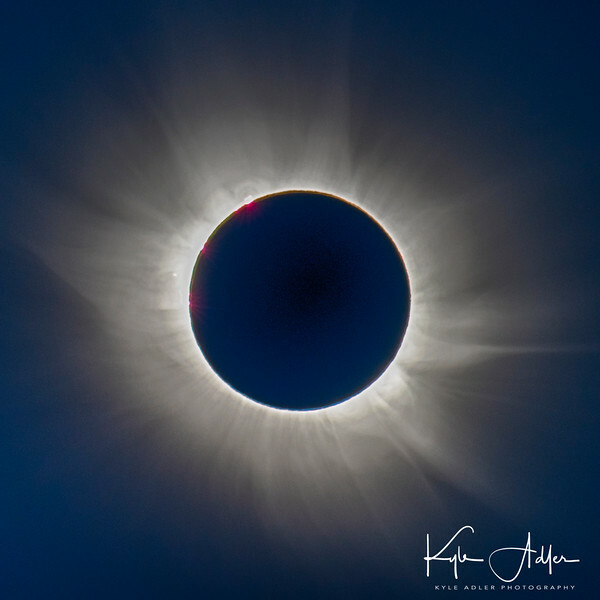 With the Great American Eclipse coming up in just a couple of months (it’s on August 21, 2017), I am republishing this popular post on how to shoot a total solar eclipse. If you have not yet booked your trip to a spot along the path of totality, now is the time to do it! I recommend you travel with an expert in managing the complicated logistics required to stage a successful eclipse trip. I always go with A Classic Tours Collection (http://aclassictour.com/travel-company/solar-eclipse-tours-expeditions-total-eclipse/). Run by travel logistics guru Mark Sood and with scientific consulting from Professor Jay Pasachoff, a world expert in eclipses and the human being who has stood in the shadow of the moon more times than any other, this company has delivered an unprecedented track record of successful eclipse trips since 1980. Gather the right gear. You will need at least one (and I prefer to have two) DSLR or mirrorless ILC camera bodies with a long telephoto lens or two. I use a Nikon D810 with a Sigma 150-500mm super-telephoto zoom lens. For each lens you will need a specialized solar filter to block 99.999% of the sun’s light to enable you to shoot the sun safely during the partial stages of the eclipse. The solar filter blocks much more of the sun’s light than a standard photographer’s neutral density filter, so don’t try to find this item at your local camera shop. Instead, you will need to order it from a specialized astronomy company such as Thousand Oaks Optical (http://www.thousandoaksoptical.com/solar.html). Be sure to order a black polymer threaded camera filter in the proper diameter for your specific lens. 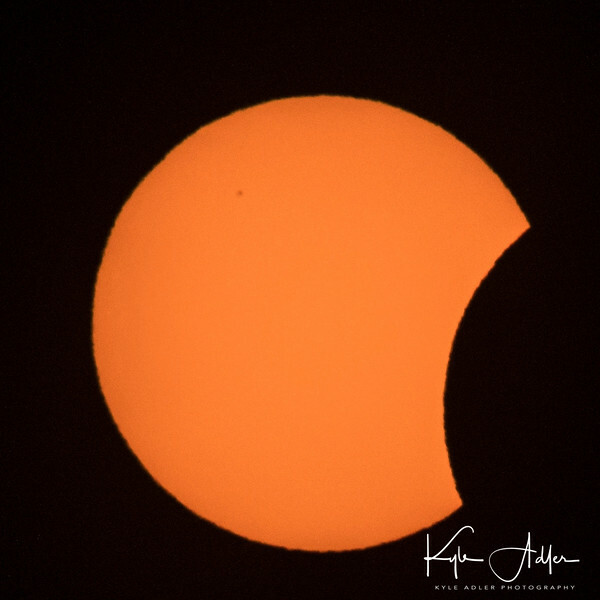 Without a properly fitted solar filter on each lens you plan to shoot with, it is not safe for your eyes or for your camera’s sensor to attempt to photograph a solar eclipse. You will also need a heavy-duty professional tripod with a good ball head and mounting plate to hold your camera and lens steady during the eclipse. Also be sure to pack a remote shutter release with extra batteries, the tripod collar that came with your lens (if included), a mini flashlight for checking your camera’s settings, extra memory cards, and extra batteries and chargers for your camera. Configure your camera’s and lenses’ settings in advance of the eclipse. Shoot in RAW mode (or RAW + JPEG mode if you must have JPEG versions of your images) using the highest quality setting available on your camera. I recommend using an ISO setting of 400, and be sure to turn your camera’s Auto ISO setting off. The exposure changes constantly throughout the eclipse, so I do not recommend manual exposure mode; instead, choose aperture priority mode with the aperture set at f/11. You may want to choose highlight-weighted metering if your camera has this option; otherwise, select center-weighted metering. Choose single-frame shooting mode. I like to turn on exposure bracketing to shoot bursts of 3 frames, each 1 stop different from the previous one, so as to have higher likelihood of getting proper exposure on each series of shots. Turn your focus mode to manual, because autofocus will not work during or near totality. Tape your lens’s focus ring to infinity to be sure it won’t move during the eclipse. Take a deep breath. You’re almost ready for the eclipse. Set everything up at the eclipse viewing site. Place your camera on the heavy-duty tripod and install your remote control. Remove your regular UV filter and attach your special solar filter. As the first contact between sun and moon occurs, start to shoot. Remember to shoot in bursts of 3 (or 5 or 7) if you have turned on exposure bracketing. Due to the rotation of the earth, you will have to recenter the sun in your viewfinder periodically (unless you are shooting through a telescope with an equatorial mount). There are still a few spaces available on the Eclipse and Pacific Northwest photography tour this coming summer. Please let me know if you are interested in learning more about it. If there’s a more thrilling experience anywhere on our planet than observing a total solar eclipse, I’ve not yet found it. And the next one will be cutting a path across the USA on August 21. 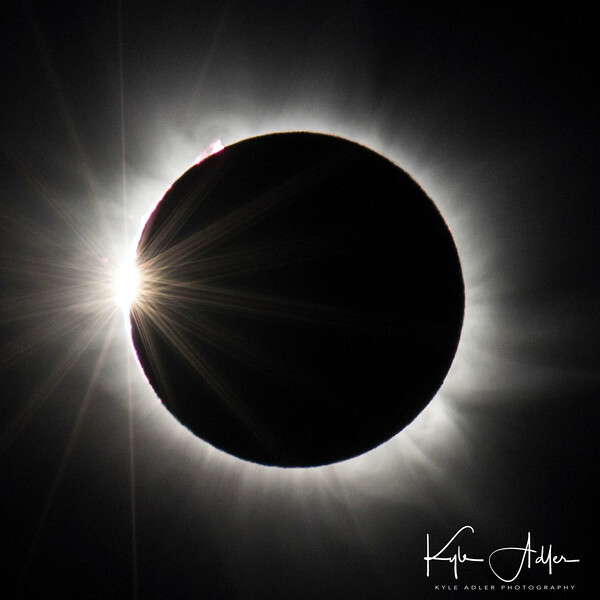 I am partnering with a prominent solar eclipse tour company to lead a photography tour that begins in Salem, Oregon with this awe-inspiring event and continues through Oregon and Washington states to photograph some of the Pacific Northwest’s most scenic locations. From Aug. 19-22 we will be part of a larger group of eclipse chasers, accompanied by leading eclipse expert Prof. Jay Pasachoff, preparing for, observing, and photographing this remarkable natural display in Salem. Our small group of about 15 will then embark on a travel and photographic journey that will take us to the Santiam Wilderness, Bend, Newberry Volcano National Park, John Day Fossil Beds, Wallowa Mountains, Mt. Hood, Portland, Olympic National Park, and Seattle, among other memorable destinations. Almost nothing can rival the stunning beauty and sheer excitement of observing and photographing a total solar eclipse. I will be providing photography instruction for interested participants via daily workshops and in-the-field learning. During our optional low-key workshops, we’ll review our recent images, plan our shot list for the upcoming locations, and cover techniques to make the best images possible. While the drama of the eclipse and the breathtaking landscapes of the US Pacific Northwest will be obvious magnets for our photographic pursuits, we will also seek opportunities to make memorable images of the people we meet and of the wildlife and other attractions of the region. Photographers of any level from advanced beginner through semi-professional will see their images improve, and non-photographer friends and family are welcome to either attend the daily workshops (even a smartphone camera can make great images) or enjoy a few minutes of extra time on their own. You can enjoy this trip and make memorable images using whatever camera gear you wish to bring; it is not necessary to invest in specialized gear (although for the eclipse itself, a DSLR or mirrorless interchangeable lens camera equipped with an inexpensive solar filter will be helpful). This tour begins in Salem, OR on Aug. 19 and ends in Seattle, WA on Sep. 2. Find more details here: Eclipse and Pacific Northwest Photography Tour. Please let me know if you have questions or are interested in participating on the trip. Mary and I hope that you can join us for this rare opportunity to experience a total solar eclipse right here in North America and to visit the spectacular attractions of Oregon and Washington states! If there’s a more thrilling experience anywhere on our planet than observing a total solar eclipse, I’ve not yet found it. The experience of observing the moon slowly move in front of the sun, obscuring our view of the sun one nibble at a time until day turns into night, the temperature drops, the stars come out in the middle of the day, and the delicate corona of the sun is exposed, is like nothing else we earthlings can feel. An eclipse is a singular event, each a bit different from any other that has ever occurred, and an exclusive event that often can be observed only from a narrow swatch of land and in very remote corners of the planet. I’ve stood in the umbra (shadow) of the moon during three total solar eclipses thus far in my life: first in Virginia Beach in the USA when I was 7 years old, then in the mountains above Anji in China in 2009, and most recently in 2015 in Svalbard well above the Arctic Circle. I plan to be in Salem, Oregon in the USA in 2017 when the next total solar eclipse occurs. These events are truly life-changing, and once you’ve experienced an eclipse you will want to seek out others. Photographing an eclipse takes all of the normal challenges of travel photography and throws a few special ones into the mix. To start with, an eclipse can take place anywhere on the planet, and often the best location from which to view one is very remote with little or no travel infrastructure. 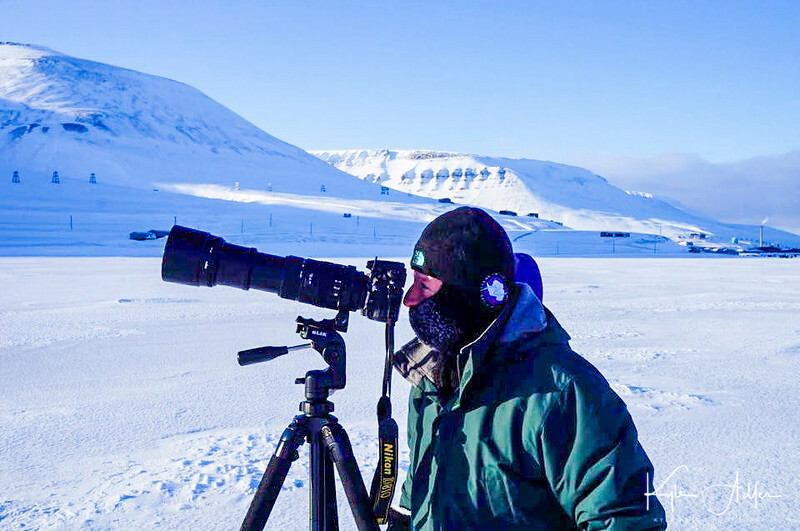 The eclipse I experienced last year in Longyearbyen, high in the Arctic on the island of Svalbard, was a transformative event, but the extreme cold coupled with the lack of infrastructure made getting there and photographing the eclipse a special challenge. And of course, during an eclipse the already challenging conditions are stressed even further due to the tremendous crush of visitors who rush in from all over the world to try to view the solar event. Gather the right gear. You will need at least one (and I prefer to have two) DSLR or ILC camera bodies with a long telephoto lens or two. I use a Nikon D810 with a Sigma 150-500mm super-telephoto zoom lens. For each lens you will need a specialized solar filter to block 99.999% of the sun’s light to enable you to shoot the sun safely during the partial stages of the eclipse. The solar filter blocks much more of the sun’s light than a standard photographer’s neutral density filter, so don’t try to find this item at your local camera shop. Instead, you will need to order it from a specialized astronomy company such as Thousand Oaks Optical (http://www.thousandoaksoptical.com/solar.html). Be sure to order a black polymer threaded camera filter in the proper diameter for your specific lens. Without a properly fitted solar filter on each lens you plan to shoot with, it is not safe for your eyes or for your camera’s sensor to attempt to photograph a solar eclipse. You will also need a heavy-duty professional tripod with a good ball head and mounting plate to hold your camera and lens steady during the eclipse. Also be sure to pack a remote shutter release with extra batteries, the tripod collar that came with your lens (if included), a mini flashlight for checking your camera’s settings, extra memory cards, and extra batteries and chargers for your camera. Configure your camera’s and lenses’ settings in advance of the eclipse. Shoot in RAW + JPEG mode using the highest quality setting available on your camera. I recommend using an ISO setting of 400, and be sure to turn your camera’s Auto ISO setting off. The exposure changes constantly throughout the eclipse, so I do not recommend manual exposure mode; instead, choose aperture priority mode with the aperture set at f/11. You may want to choose highlight-weighted metering if your camera has this option; otherwise, select center-weighted metering. Choose single-frame shooting mode. I like to turn on exposure bracketing to shoot bursts of 3 frames, each 1 stop different from the previous one, so as to have higher likelihood of getting proper exposure on each series of shots. Turn your focus mode to manual, because autofocus will not work during or near totality. Tape your lens’s focus ring to infinity to be sure it won’t move during the eclipse. Take a deep breath. You’re almost ready for the eclipse. Shoot some landscapes and people images, too. Don’t forget to use a second camera–either a second DSLR or ILC body you brought for the occasion or your smartphone’s camera–for landscape and people shots during the eclipse. You don’t want all of your images to be close-up portraits of the sun and moon only. You will need a solar filter on the second camera, too, if you plan to include the sun itself in these shots. Coming soon: Information about a photography tour I will be leading during and after the upcoming Great American Eclipse this coming summer. Please join us for this once in a lifetime opportunity!